Catalina’s culture is as rich as its beauty. 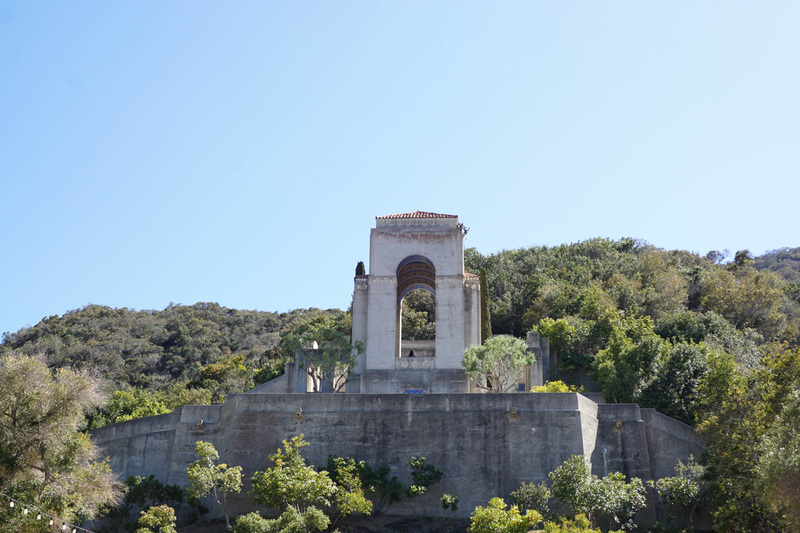 Its idyllic coastal scenery, crystal waters and lush terrain combine with architecture, hikes, impressive history and an annual wine mixer to create a beautiful getaway destination. Just a one-hour express-ferry trip away, the island fits for an affordable weekend adventure. 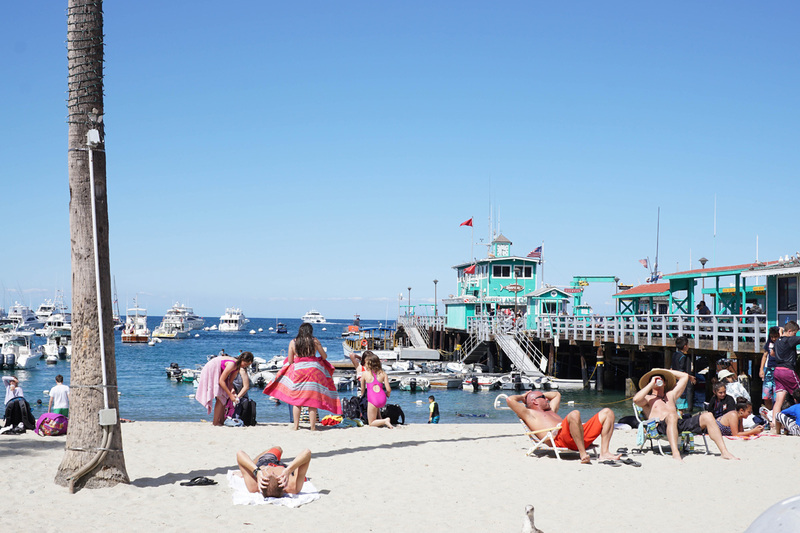 We recommend taking the early ferry out from Catalina Express (ports in Long Beach, San Pedro and Dana Point; www.catalinaexpress.com) to secure a full day of sun and to best tackle the town’s waterfront strip, a Disney-like Main Street. Odds are, you’ll have built up an appetite by the time you reach Avalon (the largest of the two towns on the 75-square-mile island), and while there’s plenty to explore on your own, a tasting and cultural walking tour from Catalina Food Tours (www.catalinafoodtours.com) is a great introduction. There’s a bevy of stops and bites that leave you surprisingly satiated. Between snacks, participants can expect to hear stories of how Avalon came to be, local lore and what makes Catalina unique. For example, while stopping to sample delectable salt water taffy at Lloyd’s of Avalon Confectionery (catalinacandy.com), the local guide will point to the nearby spots where a young Norma Jeane Baker (a.k.a. Marilyn Monroe) once posed. While you may be familiar with Catalina’s best-known history—thanks to chewing-gum mogul William Wrigley Jr.’s invested interest in his beloved Chicago Cubs (the team trained on the island from 1921 to 1951)—you may be less knowledgeable about Monroe’s photos and letters from her time on the island. 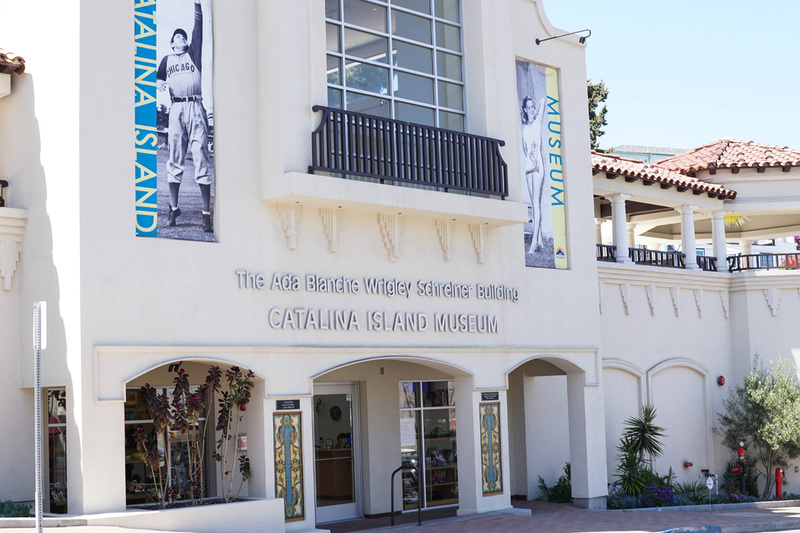 The 65-year-old Catalina Island Museum (217 Metropole Ave., Avalon, 310-510-2414; www.catalinamuseum.org) offers newsreel-style snippets of history recalling the island’s golden years, when Hollywood celebrities and Big Band-era musicians were regular visitors. The museum also brings exhibitions to its 2-year-old Ada Blanche Wrigley Schreiner Building such as “Houdini: Terror On the Magic Isle,” which displays ephemera and movie props from the 1920 adventure film the magician starred in, Terror Island. (One of Catalina Island’s nicknames is the Magic Isle.) It also highlights a real-life occurrence in Catalina’s waters that placed Houdini in a precarious situation that ended in mystery. A quick golf-cart ride or 30-minute stroll up Avalon Canyon from the town’s center will lead you to the serene Wrigley Memorial & Botanic Garden (1402 Avalon Canyon Rd., Avalon, 310-510-2897). Ada Wrigley’s stunning garden is dedicated to the cultivation and display of plants and nature. Her husband, William Wrigley Jr., was interred for a short time at the memorial but is now buried in Pasadena, though the original dedication plaque remains. You’ll want to end your day with a meal at Bluewater Grill (306 Crescent Ave., Avalon, 310-510-3474; www.bluewatergrill.com), first established in Newport Beach by partners Rick Staunton and Jim Ulcickas in 1996. The boat-to-plate restaurant focuses on serving seasonal and sustainably caught seafood, selectively harvesting and operating their own swordfish harpoon, the Pilikia, so its offerings are at peak freshness and flavor. Pro tip: Order the swordfish, then enjoy the sun setting over the tight-knit town, which has managed to hold onto its slice-of-life charm despite ballooning with tourists during the summer months.